Hey, Penn people! Are you planning to come back to campus this weekend for Homecoming? As always, there will be a lot of fun things to do, some of which are detailed in the Gazette’s arts blog. And there will, of course, be many games you can watch live. The lowdown: The first of the day’s four games against Ivy League rival Brown kicks off at noon with the field hockey team playing its final home game of the year. The Quakers aren’t quite as good as the 2013 team that surged to one of the best seasons in program history, but they come into the weekend riding a three-game winning streak behind star freshman Alexa Hoover (who has 13 goals in 14 games, tied for the best goals-per-game-average in the Ivy League). Why you should go: Ellen Vagelos Field, which opened for business last year as the school’s first-ever field hockey-only venue, is a cool place to catch a game. 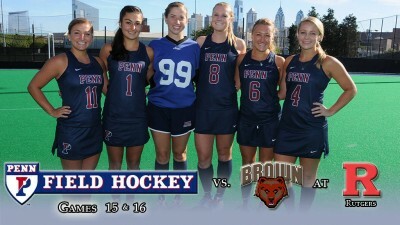 Penn will also honor its six seniors - Helene Caniglia, Katherine Cook, Emily Corcoran, MaryRose Croddick, Alex Iqbal and Allison Weisenfels. The lowdown: The Quakers are struggling this season, having won just one of their first six games – against lowly Columbia at home. But with games against league powers Princeton and Harvard on the horizon, Penn can still make a run for a league title – but only if it beats Brown this weekend for its second Ivy win. Why you should go: This could be your last chance to see legendary coach Al Bagnoli, who’s retiring at the end of the season after 23 illustrious years patrolling the Franklin Field sideline. Penn’s offense, behind sophomore gunslinger Alek Torgersen, can also be fun to watch when it limits the mistakes. The lowdown: The Quakers play their final home game of the year before making the short trip to Princeton next weekend for their regular-season finale. 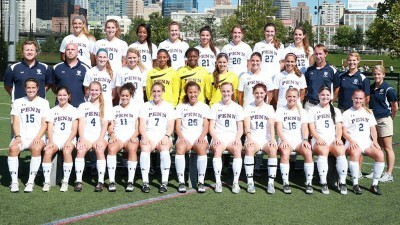 Penn is just behind Brown in the league standings with a 1-3-1 Ivy mark (and a far better 6-5-3 overall record). The lowdown: It’s not quite wrestling season yet but the Palestra will play host to an exciting event as many of the nation’s top wrestlers will compete against each other. Two of those wrestlers? Penn teammates Lorenzo Thomas and C.J. Cobb. Why you should go: If you like wrestling, you’ll surely want to see so many great matches, not to mention Thomas, a returning All-American, and Cobb, a 2013 NCAA qualifier, hitting the mat. You may also get your first glimpse at new Quakers head coach Alex Tirapelle, a young and ambitious guy that Penn hired away from Stanford a few months ago. 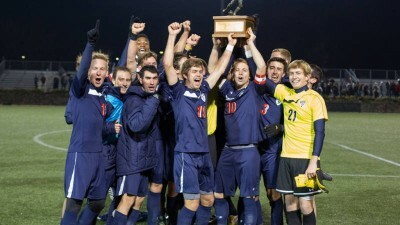 The lowdown: While other Penn teams are falling out of contention, the Quakers are still in the mix for the Ivy League men’s soccer title, as they’re currently tied for second with three games left. To repeat as Ivy champs, Penn will likely need this win over sixth-place Brown, before closing the season against Harvard and Princeton – the two teams the Quakers are tied with for second (a half-game behind first-place Dartmouth). Why you should go: Over the past few years, Rhodes Field has really become a lively and fun atmosphere for big games – and Saturday night should be no different. Penn senior Duke Lacroix is also a special talent and someone you’ll want to keep your eye on.